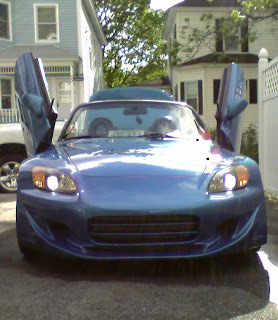 This is the car my husband designed three years ago when he got an S2000 and then modified it with a body kit and changed the color. He took first runner up in an auto show competition two years ago for the design/look. 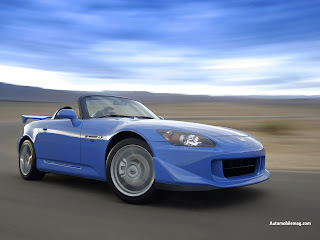 The picture on top is the new Honda S2000 CR set for release in a couple months. Eerily similar. My husband has always had great taste when it comes to cars. That's one of the reasons I gave him my phone number the day we met (pathetic of me huh?) He always changes the kit and color and makes it look REALLY sweet. He was doing this WAY before "The Fast and the Furious" came out and made it cool. Wow that is so similar! !